Bosch Cordless Grass Trimmer ART 26 LI Thanks to its innovative lithium-ion technology, the new Bosch Cordless Grass Trimmer excels in every respect. Versatile, durable and powerful, it is a particularly effective garden tool. It has no self-discharge or memory effect, meaning that it is always ready to be used for powerful cutting. And its many functions make it particularly versatile. It is also recharged extremely quickly. This is what you call trimming with power and convenience. Stronger. Lighter. Further. 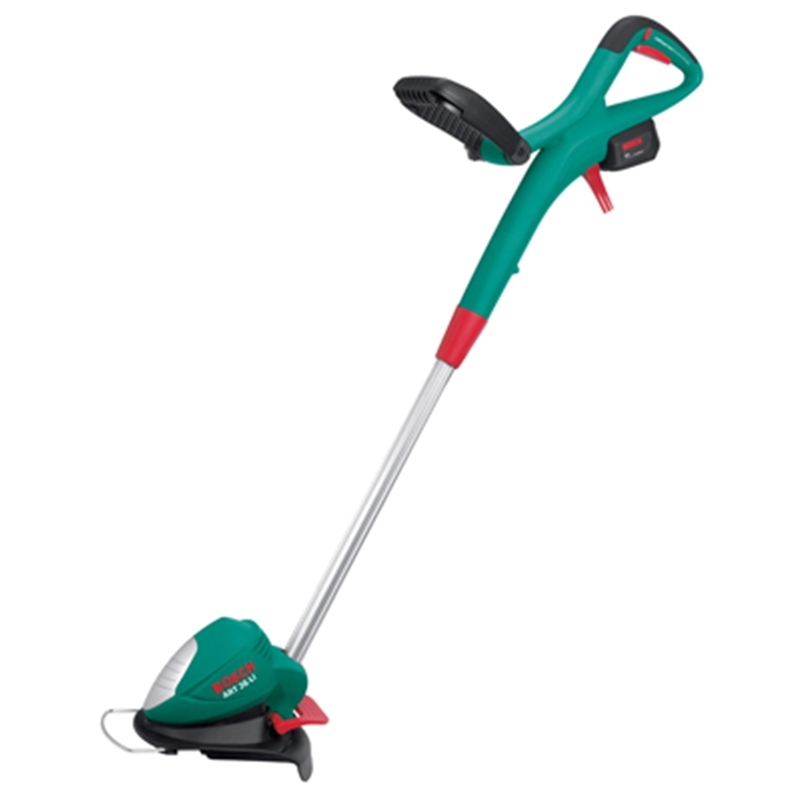 The innovative lithium-ion technology makes the new cordless grass trimmers from Bosch particularly powerful garden tools. With no self-discharge or memory effect, they are always ready for powerful trimming.